The 1.6 litre diesel engine is the most economical returning up to 67.2mpg and with a choice of automatic or manual gearboxes and petrol engines of course you can choose the engine perfect for you be your preference economy or performance or a combination of both. The 2 litre 143hp diesel engine is the best for performance reaching 62mph in just 9.5 seconds. The diesel engines best suit the Avensis going by general reviews. The interior comes in 4 trim levels from Active to Excel so something for the family and even the entry level executive saloon market. The well designed and ergonomic dashboard presenting a simple yet sophisticated feel. 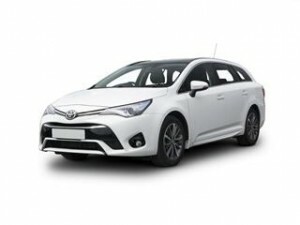 Value for money and Toyota go hand in hand and the Avensis is no exception with the entry level trim getting air conditioning, alloy wheels, cruise control and front electric windows. Boot space is very impressive and perfectly compliments the family image with 509 litres of space in a well laid area allowing for easy access. A touch of a button drops the rear seats to present you with 1,320 litres of flat space. A family favourite the Toyota Avensis ticks all the boxes including the price tag box. However, you may be interested to know the clever people at Coast2Coast Cars have options for you to save you even more money on a new Avensis when compared to the new list price. We only require 2 minutes of your time to simply fill in the step by step form to build your perfect Avensis then we locate it at a price to suit you saving you money. We are a free service and we can even help with finance thanks to our UK wide network of Toyota dealers subject to status.